Well, Summer is in full swing in my household and we are enjoying every second of it. Hubby was on vacation for the last 2 weeks... and every year I get excited... I think: Oooh! Hubby is home, he can play with the kids and I can get a ton of crafting time in.... and EVERY year I do the same thing... I spend the time enjoying the family together and do NO crafting! After a fun filled day, by the time I get the kids to bed, I'm pretty much ready for bed myself! 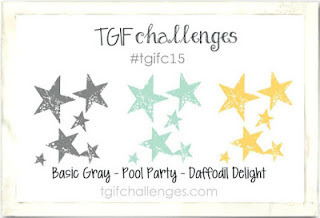 so I headed over to the TGIF Challenge blog. 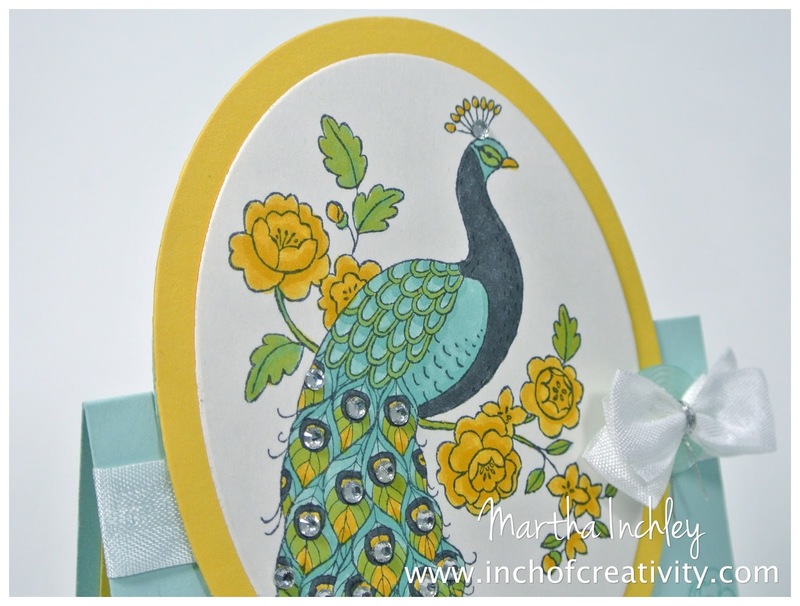 This week's challenge: A colour challenge! I love these! 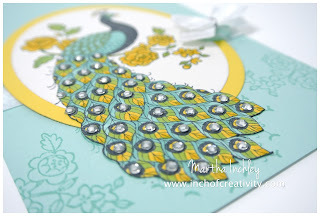 Design a card using the colour combo: Basic Gray, Pool Party and Daffodil Delight! This is challenge #TGIFC15. 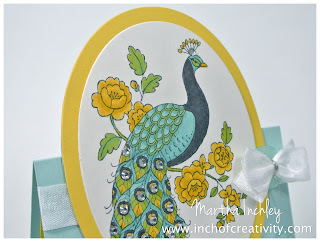 For my card I used the stamp: Perfect Peacock... Now, I can't say that in any other circumstance, I would have chosen this stamp for this colour combo... but I borrowed it from my MIL awhile ago and it was right there on my craft table, so I decided to run with it. Weird, I know... but I like the end result... who would of thought it would of work!?! Not me! I stamped my peacock in Basic Gray ink onto Shimmery White cardstock and then coloured it in with Basic Gray, Pool Party and Daffodil Delight markers. Now, I know what you're probably thinking... that I cheated, and added green and various shades to the colour combo... But I didn't! 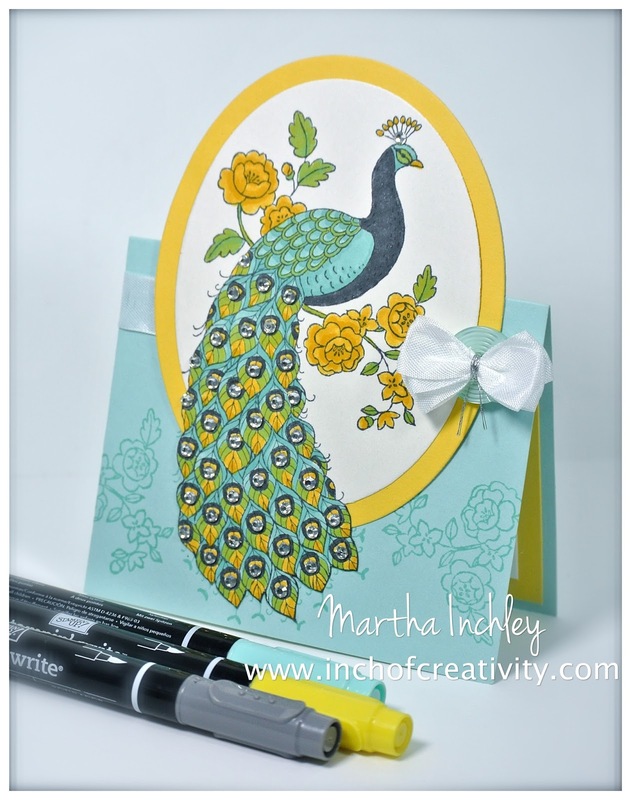 I only used Basic Gray, Pool Party and Daffodil Delight markers. Seriously! 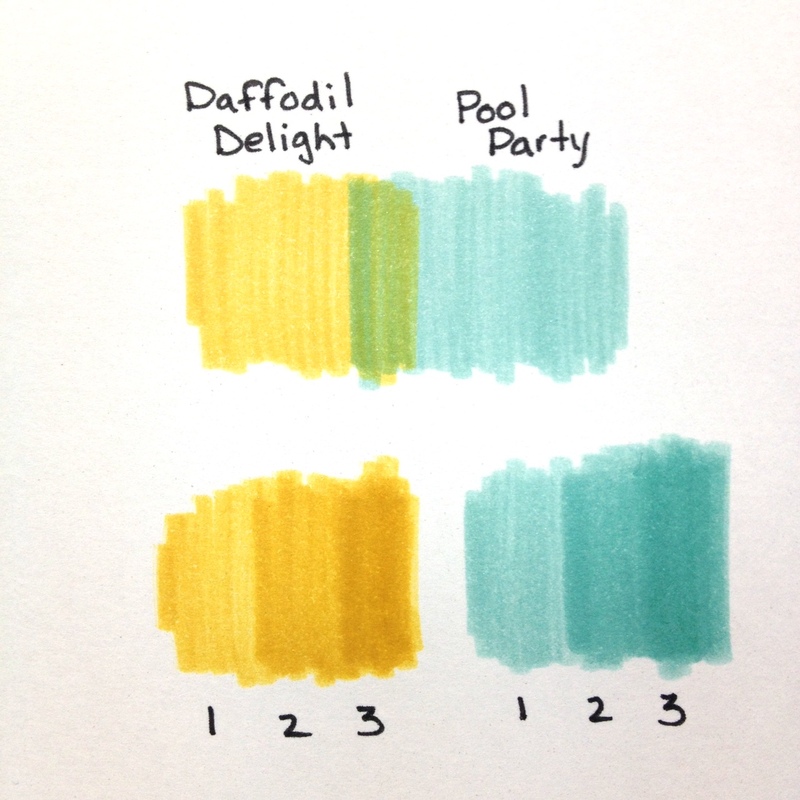 When you over lap the Pool Party Marker with the Daffodil Delight marker... you get... green! Who says you need it all!?! Don't tell my hubby I said that! ;) Also the various shades in my colouring is just from colouring over it 2 or 3 times. After I finished colouring everything, I added some bling and did I EVER! I added a Rhinestone to every feather. Sparkle sparkle sparkle! Well, thanks for stopping in. I hope you like my take on this colour challenge and make sure to hop on over to the TGIF Challenges blog to see other great samples! Happy creating! Wow!!! That's incredible and I never thought you cheated but after I read your comment on the green, I was delighted in your discovery! Isn't it nice to get out of your comfort zone sometimes? Fabulous and thanks fro playing at TGIF.